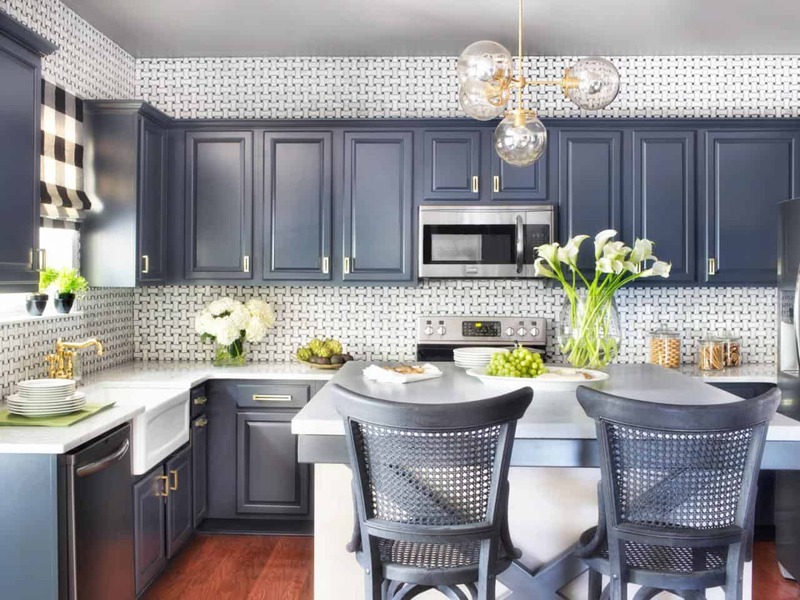 Regardless of how you put it, upgrading any area of the home is expensive, especially when you want to update your kitchen. 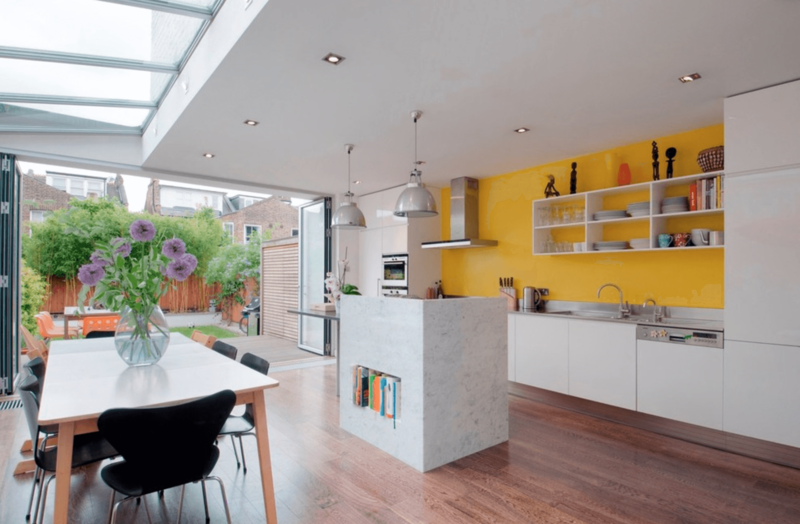 The kitchen is not only one of the most used areas of the home, but it is also an expensive area to change up. 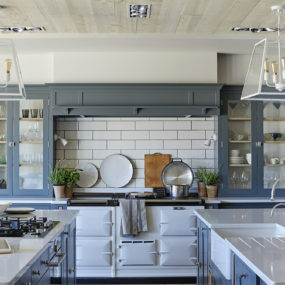 Therefore, we bring you a guide on how to refresh your kitchen without breaking the bank. Style should never be compromised regardless of how small or big your budget is. Keep your handles the same throughout your entire kitchen for a cohesive touch. Changing your cabinets hardware can make a big difference even if it seems minuscule to the eye. 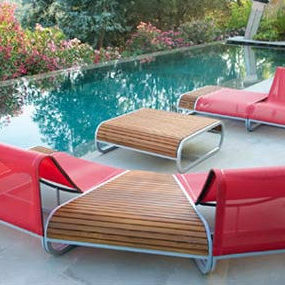 Consider going for a colorful twist to make a bold difference in the way it’s viewed by most. 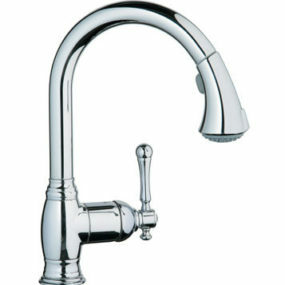 You want your eyes to gravitate towards the handles and pull for the fresh feel from the very beginning. When going for a fresh coat of paint consider a darker hue for an elegant touch or a lighter pastel bit for a more simplistic appeal. 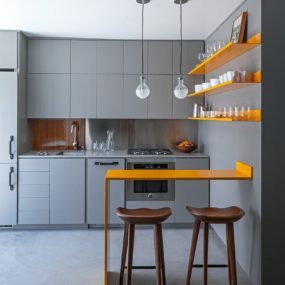 Adding a layer of paint can completely change the feel of the room, without having to change your cabinets. 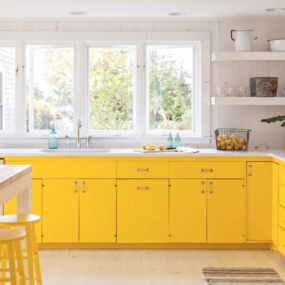 Changing your cabinets is an expensive ordeal; therefore, it makes sense to simply give them a fresh new take on what you already have- a simple coat of paint can do wonders. Doing so will create a clean slate that is fresh and clean. 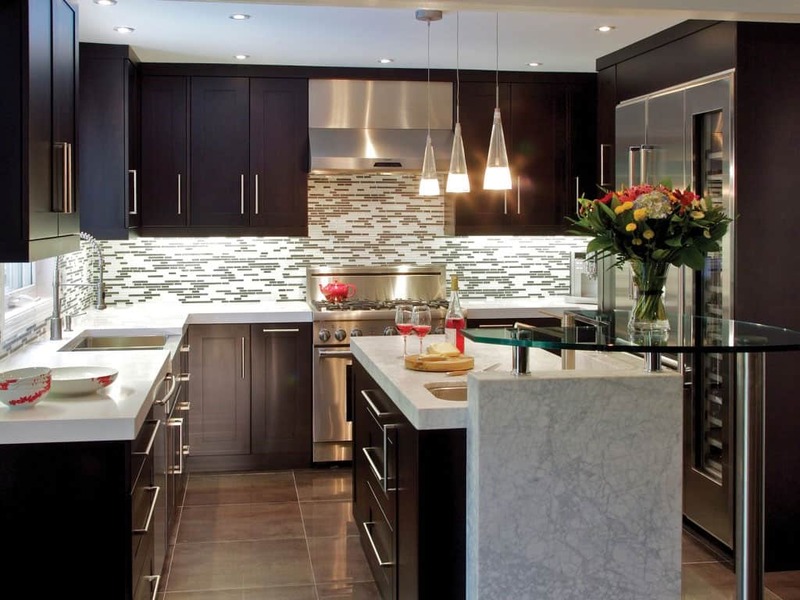 Glass panels as part of your cabinets, open up the room while still being simple and minimal. Completely swapping your cabinet doors for glass panels can make a huge contrast in the room, while making the space feel new and put together. Additionally, it is cheaper to do so. Furthermore, you might want to consider removing the doors completely and having an open floor plan display instead. For your accent wall choose a bring color that will contrast with the hues you already have. 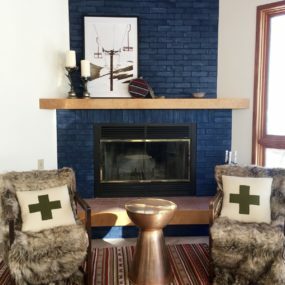 When in doubt, go for an accent wall. An accent wall completely refreshes the room while being open and adding color. The extra dose of color and pattern will bring a modern appeal that further enhances the rooms size and theme. Why have one pendant when you can have two. Two pendants are great as they help further enhance the room. 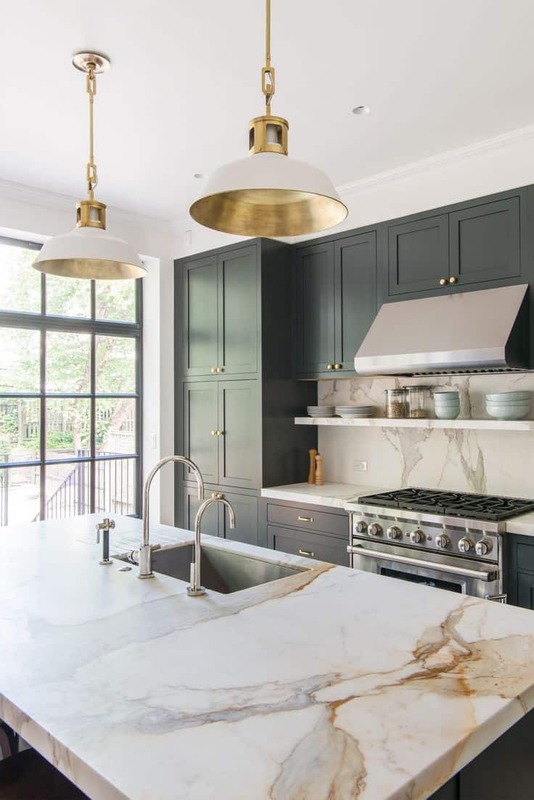 Extra lighting is always a good idea, not only does it make the room look and feel larger, but your kitchen will feel warmer in an enchanting manner. 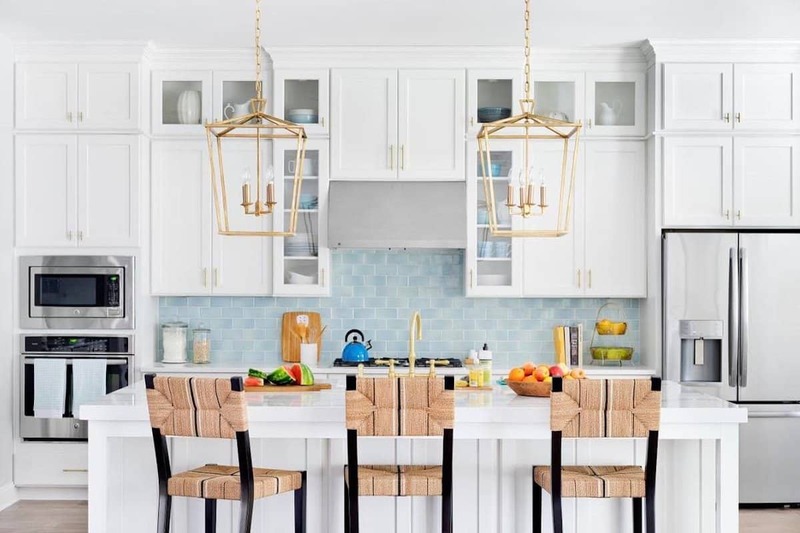 Pendant light fixtures are great due to their size and how chic they can be. A colorful island can make a huge statement regardless of what you already have in the room. 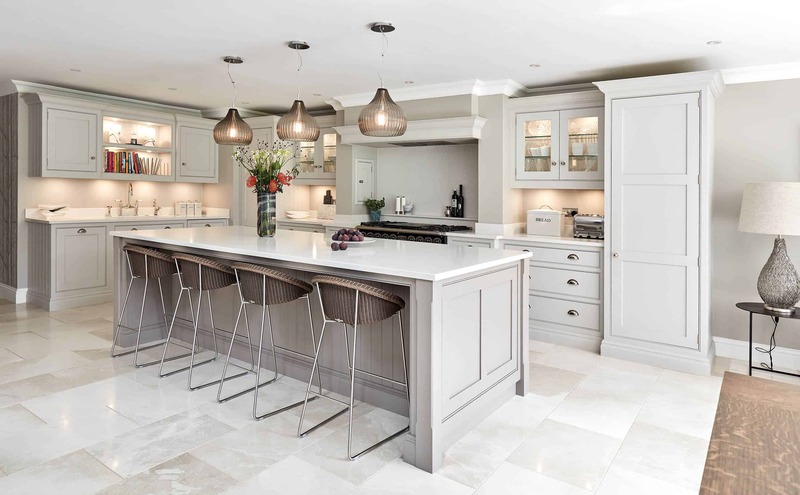 If your kitchen island is looking dingy or a bit worn out, it is officially time to replace it. Replacing your kitchen island can make the room feel brand new without much effort or work needed. 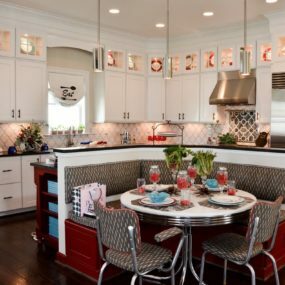 Further the appeal of your kitchen island by painting it a bold color, for a big statement piece. You do not have to have a full display of tiles if it’s not as charming or as inexpensive as you would like. 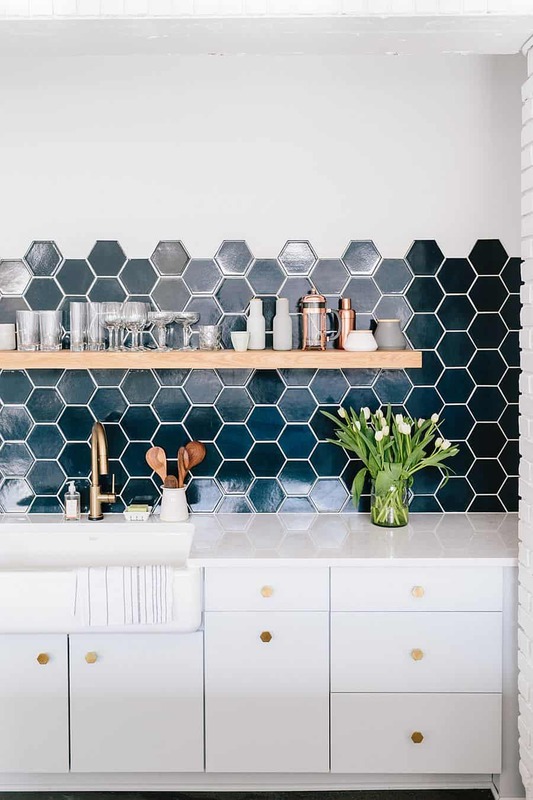 Consider having only half of your wall with a tile display. Replace your outdated backsplash with a new tile touch. 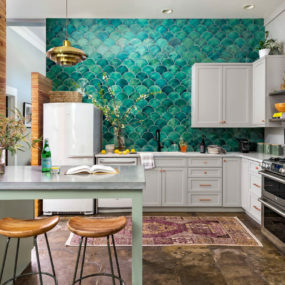 Tiles come in numerous colors, patterns and even texture which makes them an excellent additional color appeal to the room. Doing so will bring a little something extra to the space. Think of it as a simple way to add character to a room. Creating a diverse appeal between your flooring and the rest of the rooms appeal is a great way to bring texture and character. 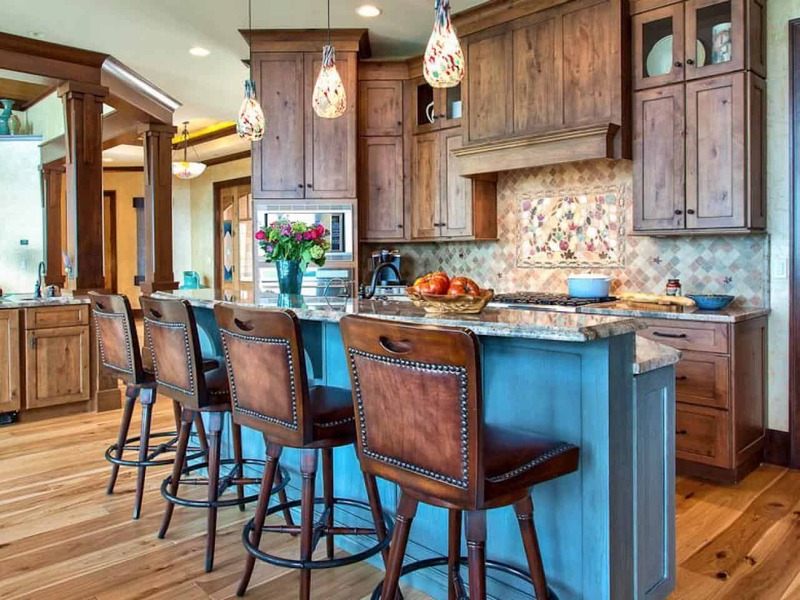 New floors could be just what your kitchen needs for a fresh touch. Kitchen floors tend to become dirty quicker due to how much foot traffic there traditionally is. With that being said, change your floors for something new and enjoy the fresh new look. 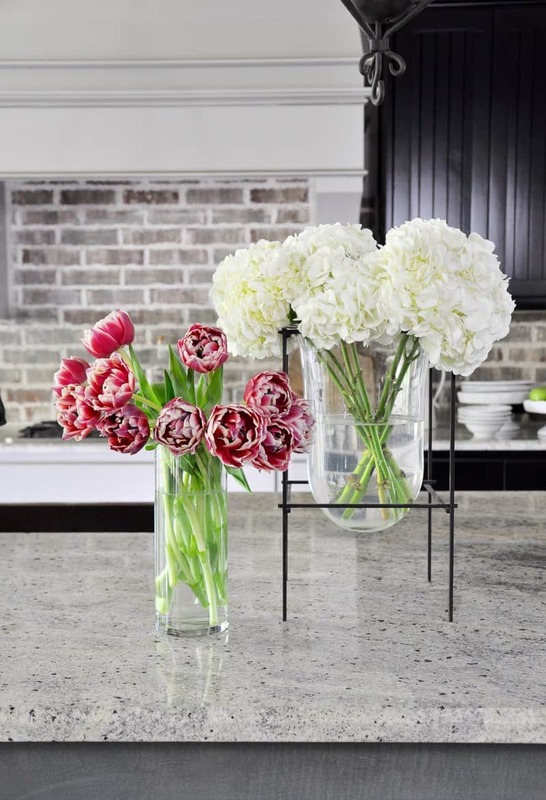 Add flowers of multiple different hues to ensure the room captures multiple different colors. 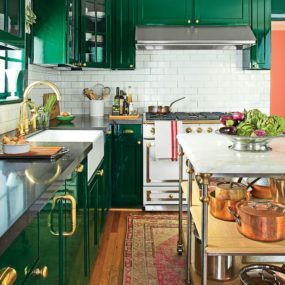 Adding a hint of freshness could be what your kitchen needs to come back to life. Furthermore, you might want to add a new look with color to your home. Keep in mind, the more flowers you use the grander their effect will be. 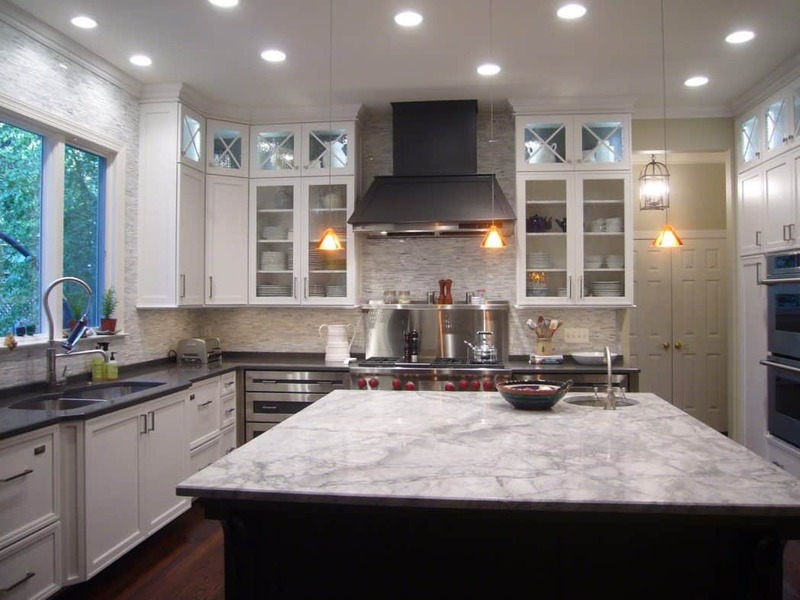 Marble is an excellent countertop option as its easy to find and to display, while not taking away from your decor. Replacing your countertop might seem like an expensive deal, but it truly isn’t. In fact, it will practically pay itself if you truly think of it. Consider making a simple change for a beautiful contrast between what you already have and the new change. Which of these are you more inclined to try? Share with us your opinions in the comments below.